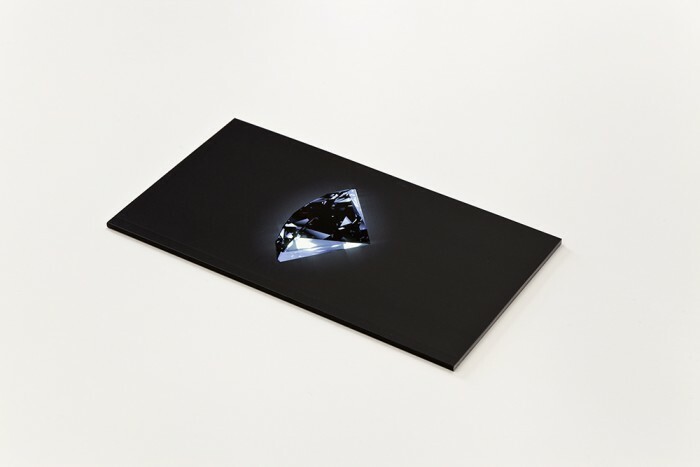 The publication is based on Monko’s video “WoW (Women of the World)”, first exhibited at her solo exhibition “Stones Against Diamonds, Diamonds Against Stones”, curated by Evelien Bracke, Tallinn City Gallery, January 12 – February 11, 2018. The point of departure for the video was the slogan Women of the World, Raise Your Right Hand used in De Beers' advertising campaign in 2003. With this message the company, which until this day controls the majority of mining and distributing rough diamonds, was targeting the women who can afford their own diamond ring. The video consists of footage filmed in Hong Kong and Antwerp, 3D animations, print ads, and other found material. The voice over text is focusing on De Beers' marketing strategies through decades, the emergence of the famous slogan A Diamond is Forever, and the creation of a myth of diamonds as symbols of love and commitment.